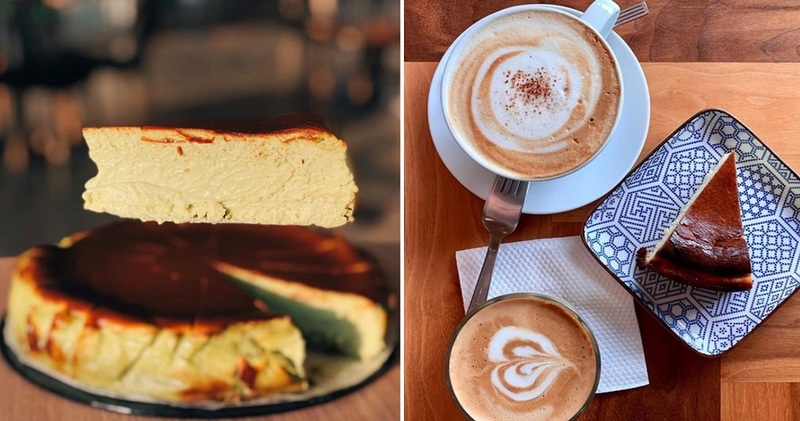 Burnt Cheesecake Lovers Can Satisfy Their Cravings At These 17 Cafes in Klang Valley! Basque-style burnt cheesecake has taken the world by storm recently, and we can totally understand why! While regular cheesecake is undoubtedly a great dessert, burnt cheesecake adds an extra dimension of richness by bringing out a wider range of textures and flavours in every bite. If you have yet to try out this latest craze or are looking to satiate your cravings for burnt cheesecake but don’t know where to even look, we’ve got you covered! Alright, we cannot go ahead with this list without giving a spot for The Tokyo Restaurant’s 6th Avenue Cheesecake. Situated smack in the middle of Bukit Bintang, The Tokyo Restaurant provides a zen escape from the hustle and bustle of the city with its dimly lit, laid-back ambience. Add their delicious burnt cheesecake topped with a dollop of cream, this definitely makes a rich dessert that will change your life! Cake Jalan Tiung (CJT for short!) has become somewhat of a household name in Shah Alam. With its weekly menu serving up a wide variety of cakes, this cafe definitely knows how to switch it up! One of its standout cakes, however, has to be its Vida Loca burnt cheesecake. While it’s not always on the menu, we suggest following them on Instagram for their weekly menu changes to see when you can get a slice. If you find yourself in Bukit Damansara with a huge cheesecake craving, pop over to Huckleberry Food & Fare and grab a slice of their burnt cheesecake. We guarantee you won’t be disappointed! Located at DC Mall, Birch KL’s calming ambience filled with lush greenery is a lovely change from the usual minimalist-style cafes out there. Of course, it’s also home to one of the best burnt cheesecakes in the Klang Valley! Located right next to a Mazda centre, Kohi Yatta is a unique spot for a reason. Serving up some delicious Japanese-inspired dishes, this is one place to satiate your umami cravings. However, this is also a great place if you’re looking for the perfect burnt cheesecake that’s guaranteed to tick all the boxes! Get a slice of whatever burnt cheesecake your heart desires with a good cup of coffee, and you’re definitely in for a delicious treat! If you live around Old Klang Road, definitely pop by Front Room & The Kneady Baker for some delicious pastries and cakes. One highlight is, of course, their burnt cheesecake! Home to some great paninis, fluffy pancakes, drip coffee and delectable desserts, Neighbour’s Coffee Bar is the cafe where both sweet- and savoury-lovers can hang out together! They serve some mean burnt cheesecake as well, so if you’re around this neck of the woods, pop over to their cafe and have a slice! If you’re a Bangsar dweller and don’t want to venture too far for some good burnt cheesecake, why not try out Upperhouse Kitchen & Dessert Bar? Located right along Jalan Telawi, this joint is pretty hard to miss! BEAM is one place where loads of coffee connoisseurs congregate, but did you know that this place serves up some great burnt cheesecake to boot? A slice of this with some of their best coffee is sure to perk up anyone’s day! Situated in the scenic Desa Parkcity, Lucky Peaches serves up a wide variety of delicious comfort food, with some good quality drinks to boot! Its burnt cheesecake is definitely one item on their menu you should order, though. Soft and creamy with a little bit of a burnt taste for added dimension, this is a burnt cheesecake done right! Don’t worry, Subangites! We’ve also found great cafes in your area that serve amazing burnt cheesecake as well! First up is Kaizen Coffee by Project Gibraltar. This cafe serves some great coffee complete with the cutest oriental-inspired decor and crockery. Cute and old school! Another great cafe located in Subang Jaya is none other than Souka Bakeshop, where you can get your hands on a big slice of burnt cheesecake! Located right in SS15, this cafe serves up a wide variety of custom and ready-to-buy cakes that can hit the spot for anyone with a huge sweet tooth. Milligram is one cafe that definitely takes pride in its presentation. From unique coffee art to its quirky dishes (like their adorable Gudetama-inspired dish! ), Milligram has it all. So, you can be sure they also have great burnt cheesecake too and we definitely recommend trying this place out! Good news, Klangites! There’s a cafe in your neck of the woods that serves great burnt cheesecake too! Pastry Feel is another great bakery that serves up a variety of custom and classic cakes, doughnuts, and pastries. Their selection of cheesecake is also impressive, featuring New York brûlée cheesecake and of course, the burnt cheesecake. So, give this place a visit if you’re in town! Home to some of the most unique soft-serve ice cream (including a butterbeer-flavoured ice cream), Littlepeople has loads of cool desserts to try out! Along with other amazing cakes, this cafe has also added burnt cheesecake to their menu, and this creamy delight is something that you definitely shouldn’t miss if you find yourself here! 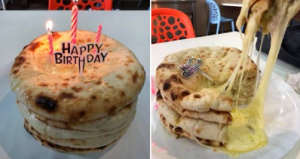 Wondermilk has been a household name in the Klang Valley for years now, and while it shot to fame because of its delicious and cute cupcakes, they also serve up some amazing cakes. Yes, that includes burnt cheesecake, which is available at their Damansara Utama outlet every day! Have you tried burnt cheesecake from any of these cafes? Let us know in the comments below!